New Liberty Baptist Cemetery has 728 graves in 48 rows. along Highway 25 and the driveway; while facing the church. Row 1-1 thru 1-10 is along Highway 25. 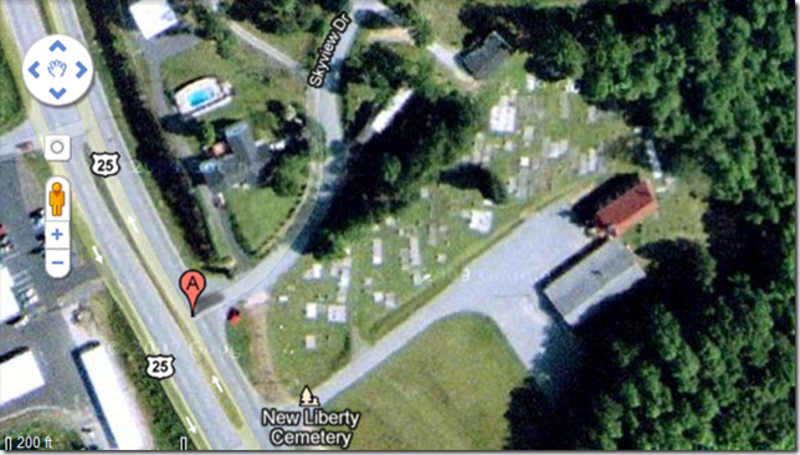 Row 5/Grave 33 (Lewis Swann) is where the road leads into the cemetery; on Highway 25 side. Row 22/Grave 282C (John L. Coggins) starts across from the stairs. The last row, Row 48/Graves 721-726 is behind the church, in the far right corner (SE).